– Flatten the chicken breasts by using a rolling pin. – Put garlic,salt,sugar,black pepper and rapeseed oil in an electric blender or crush these ingredients in the pestle and mortar until all ingredients are bound together. – Use 2/3 of the garlic paste mixture and rub them on the chicken breasts. – Put the chicken breasts on the red hot griddle pan for 2 minutes on each side. Then put the chicken in the preheated oven until they are cooked thoroughly (approx 10-15 minutes). – Put 1/3 of garlic paste mixture and coconut oil in the frying pan. Then add the rice , season it with salt and pepper. Stir the rice well. – Put the cider vinegar , soy sauce,honey,fish sauce, rapeseed oil, chopped ginger and chilli in the mixing bowl. Lightly whisk. 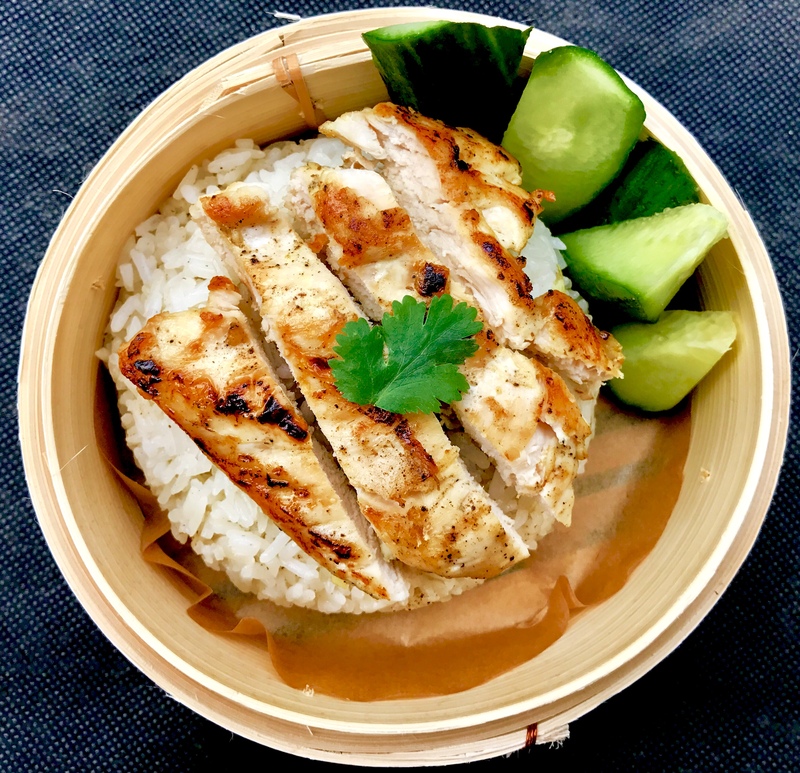 – Assemble the rice , chicken together with the dipping sauce on the side. It’s great with fresh the cucumber or crunchy iceberg lettuce. That is it your quick dinner Simple Chicken And Garlic Rice is served. 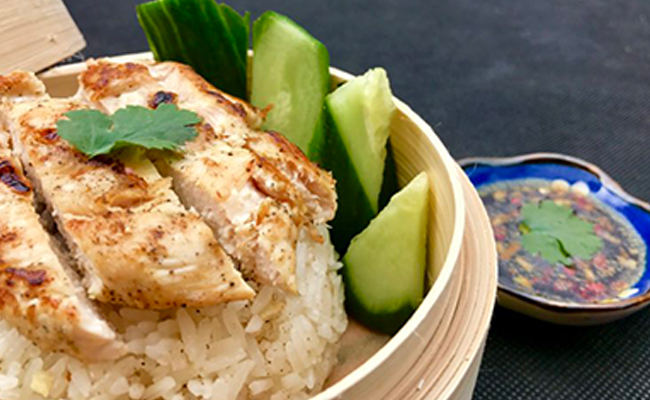 Use 1tsp of chopped red chilli if you would like a hotter dipping sauce with Simple Chicken And Garlic Rice.